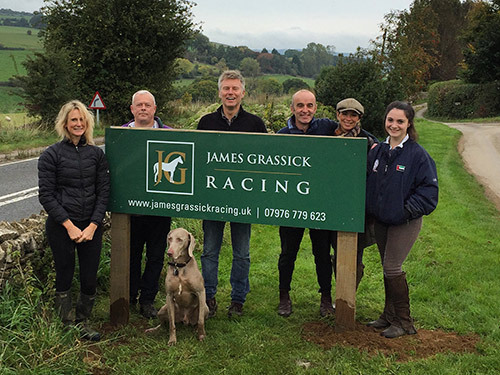 James is based in the Cotswolds at Dryfield Farm, which is located on the outskirts of Winchcombe. The stables are adjacent to Cleeve Common, which has 2000 acres of hacking without ever going on the road. James has been working with horses all his life, competing in all disciplines from an early age. He grew up in a family business experienced in breaking, schooling and training horses for Showjumping, Dressage, Eventing, Polo and Racing. At the age of sixteen, he rode in his first Point-Point and in 1994, rode a winner in a 3 mile Steeplechase at Cheltenham Racecourse. In 1996 he completed a BA (Hons) in Equine Studies at Coventry University and Warwickshire College. He regularly competes horses at BSJA and British Dressage. He has been working closely with people and their horses for the last thirty years and has long standing clients who have found his advice and help invaluable in all spheres. James is an acknowledged horseman who has vast experience at getting the best out of horses. To get the best out of the equine athlete, a deep and well-rounded knowledge of a variety of training techniques is crucial to optimise achievements and results.